There are several ways to operate a trucking business: the company can choose to lease equipment, it can decide to purchase the trucks and pull trailers owned by another company, or it can purchase all of its own equipment. There are advantages and disadvantages to each of these operations. The biggest disadvantage for independent fleet owners is the expense involved in purchasing several trucks and trailer units. The biggest advantage for companies that choose to lease equipment is the tax deductions available on all of the equipment. The Federal Motor Carrier Safety Administration, (FMCSA) regulates the trucking industry and monitors all interstate transport of goods. The FMCSA mandates safety and operational rules and regulations, to which all companies regardless of size must adhere. Before a company can begin offering commercial services to clients, it must comply with the FMCSA's rules regarding registration, licensing and operation. A trucking company can consist of a single truck and driver or a large fleet, but all new companies must first file an application with the FMCSA according to its New Entrant Assurance Program. This program monitors all new companies to ensure proper management control and safety regulations are within compliance prior to granting a permanent operating authority and Department of Transportation (DOT) number. The FMCSA has identified 16 keys safety regulations, which are essential to the safe operating of a commercial motor carrier. All new companies must file an application along with the appropriate fee with the FMCSA for an operating authority prior to offering their services to any clients. The type and number of operating authorities required by a company depends on the type of services they intend to provide to their clients. The FMCSA provides a self-classification system on the government website to help companies determine what operating authorities will be required according to the geographical locations the company will operate in, the type of services provided and the cargo transported. Commercial motor carriers transport commodities, passengers and all manner of goods produced by manufacturing facilities, including many products that require special permits for size or hazardous materials. All motor carriers must also comply with all state regulations for the states they operate in or pass through. Commercial trucking companies must provide insurance coverage for their equipment and cargo, post a surety bond and appoint a legal process agent. The amount of necessary insurance coverage depends on the size of the company, type of cargo transported, and safety record of the carrier. The Federal Motor Carrier Safety Administration website provides additional information about the required insurance and licensing requirements. The lifeblood of any trucking company is the professional drivers who transport passengers or freight. According to the Federal Motor Carrier Safety Administration, commercial truck drivers must be medically qualified and properly licensed to operate a commercial motor vehicle. Drivers must carry a current medical card and obtain a commercial driver’s license, (CDL). Both companies and drivers must adhere to specific rules governing the hours-of-service a driver may operate. A trucking company will also need administrative staff to maintain safety, maintenance and operational records required by the FMCSA, dispatch client freight and provide payroll, insurance and administrative support for the drivers. The management staff of a new trucking company needs to determine which option for obtaining and maintaining equipment is best for the operational and financial needs of the company. The staff must decide to either purchase or lease equipment. The company must develop policies and procedures for purchasing fuel, maintenance, accidents and emergency breakdowns. Some companies that own trucks opt to lease their equipment with larger trucking companies, which place age restrictions on the equipment. 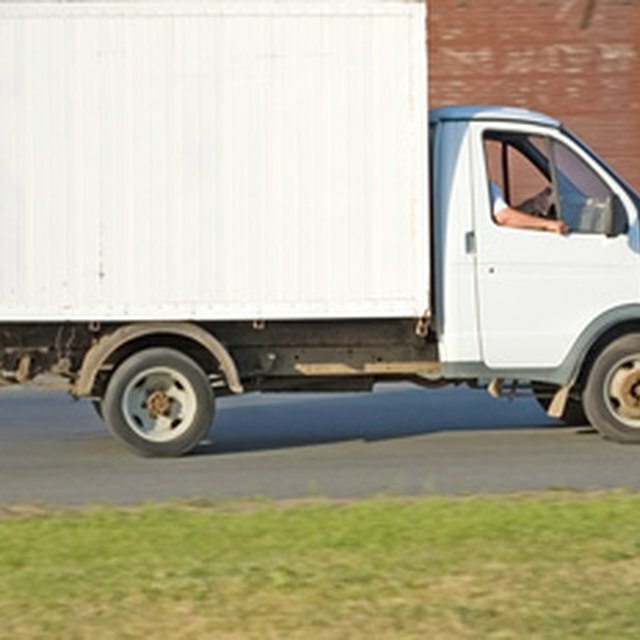 Likewise, many insurance companies will not provide coverage on older trucks and stipulate other limitations on drivers and any potential riders they may request to accompany them over the road.